You can choose how you get the news, features, sports, inspection results and arrest reports compiled by our staff of veteran journalists. Best Value: Get all three editions, and be fully covered. 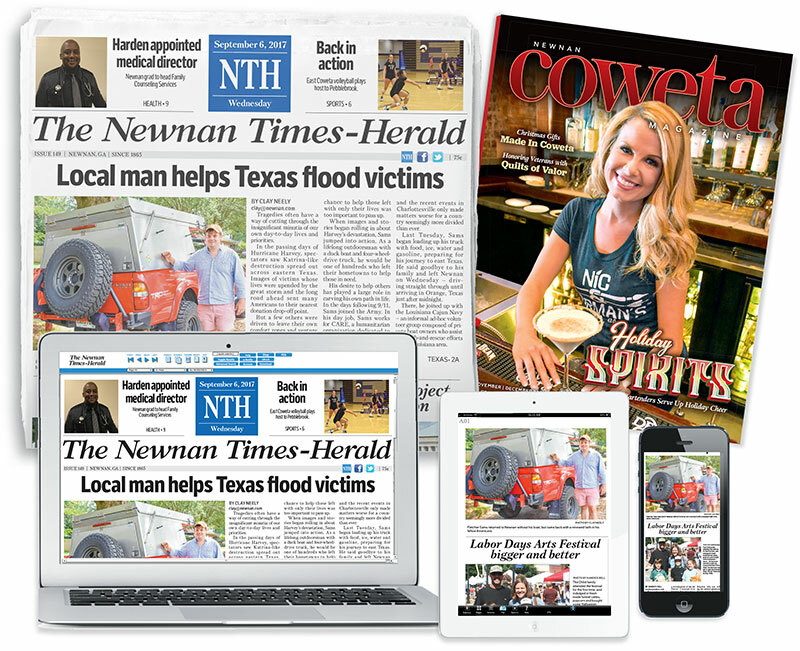 The traditional printed version is delivered to you wherever you live or work in Coweta County. Each print subscription comes with both the Web and e-Printed editions as well. You get it all at one great price. e-Printed Version: Read a copy of the printed version of each day’s newspaper, just as laid out from the front page to the last want ad. Turn each page from any device just as if you’d picked up what was delivered to your driveway. Access is free with a subscription to the printed paper. Web Version: Our responsive web version works on whatever device you use, laptop, tablet or cellphone. Just 99 cents the first month and $6.75 each month after.